This survey is now closed, thank you for your feedback. Further information will be published here shortly. In early 2017, North Somerset and South Gloucestershire consulted on whether to continue prescribing gluten free foods for those aged 18 or over. As a result, a decision was taken to stop the prescribing of gluten-free foods to all patients aged 18 or over. From 14 August 2017, only a limited choice of products are now prescribed to those patients. 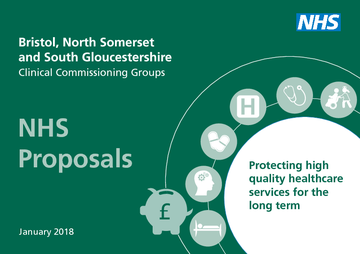 In order to bring the prescribing policies in Bristol into line with those in North Somerset and South Gloucestershire and with the NHS across much of the south west, Bristol CCG is proposing to introduce the same policy. Bristol CCG would continue to support people with coeliac disease by providing them with appropriate information to follow a gluten-free diet and remain healthy. The aim of this policy is to bring gluten free prescription across Bristol into line with North Somerset and South Gloucestershire to ensure consistency across the area.